She is very temp and nute sensitive from my experience. My ppm never broke 400 after the first nute burn at a ppm of 500. Once I got the temp under control she was very easy to train. For an auto she responded very well to defoliation so if you're a fan go for it. I made one mistake during the dry and left the fans in the box on which over dried her a bit. 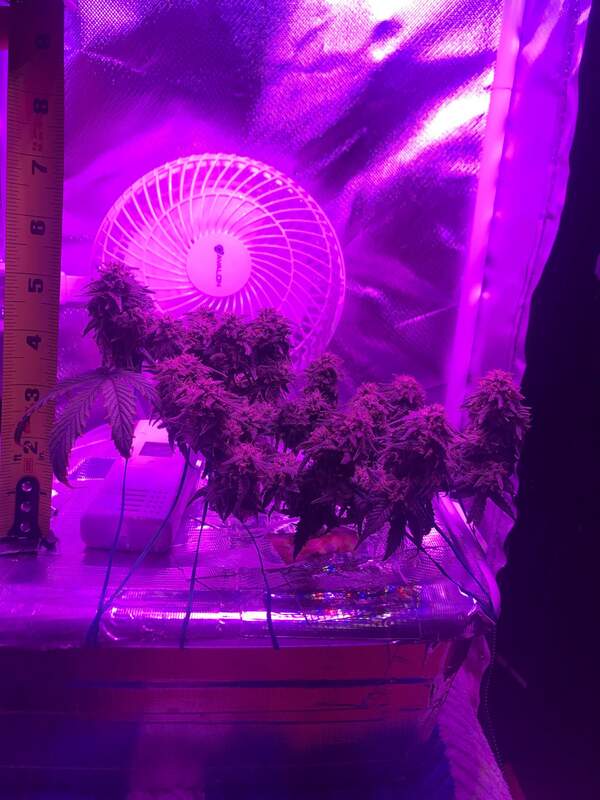 I did forget to mention that around week 7 I took her out of that grow box (which I never recommend buying) and bought a 16x16x48 tent with a strong 4" inline fan and it was a much better environment to finish the grow with. @Ignorantslut, to edit the weight go to your Diary - choose harvest week - tap 'edit week'. Hope it helps! @GrowDiaries, I found it, thanks guys! try voodoo juice if you want to make your roots chrisp white :) just a suggestion for the future. Beautiful buds!! @Moneymitch125, that's an AN product right? As soon as I finish off the GH stuff I bought I was going to switch over and give a few of their ph perfect products a try anyway so I'll pick some up, thank you. @Ignorantslut, consider House and Garden Aqua Flakes + supplements. They even have a feeding schedule for DWC online!! !